Laparoscopic radical prostatectomy is generally thought of as a technically demanding laparoscopic procedure, with an extended learning curve. Laparoscopic radical prostatectomy can be learned during residency or fellowship training, and other formats have been explored for the practicing urologist. Training laboratories, with laparoscopic skills trainers and ex vivo models of the urethrovesical anastomosis, have enabled urologists to improve their skills in a short time period (35). On-site mentoring by experienced laparoscopists has created successful laparoscopic radical prostatectomy programs in the United States (31,36). Proficiency and/or "learning curve" cannot be assessed by parameters such as number of cases or operating time. 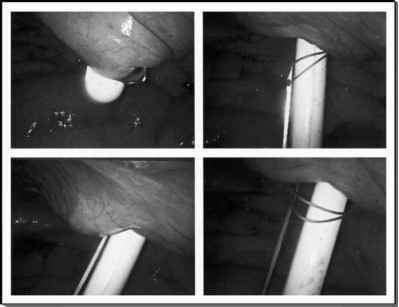 One does not become a skilled laparoscopic surgeon by completing case number 49 nor by performing a laparoscopic radical prostatectomy under 120 minutes, but a dedicated teaching program including laboratory training time, intraoperative video review, and operative participation, is essential to develop laparoscopic skills (depth perception, visual three-dimensional reconstruction of a two-dimensional image, etc.) and most importantly to master laparoscopic anatomy and apply the oncological principles of surgery. As shown in Table 1, the average operative time has declined substantially with increased experience.